These first two are not new, but I got a chuckle out of them. Right now I’m working hard on some farming projects, with not much time to write. The need for this next one is obvious. Click on any of the graphics in this post to see the larger version. The following are not intentionally humorous. 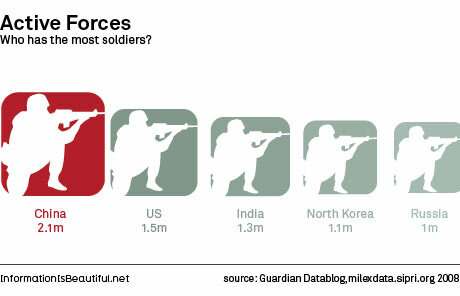 They come via The Strategist and Information is Beautiful, and come originally from The Guardian DataBlog. The following graphics are by David McCandless. If you go to the originals at The Guardian DataBlog there is some commentary, but I prefer to present them without commentary. As someone once said to me when I was trying to get a specific political opinion from them: patriots may draw their own conclusions. Within the military realm, the terms proxy and surrogate are largely interchangeable. I have included some current pictures of partner/surrogate/proxy military in Africa, and some historic pictures as well. It is important not to forget the history and the heritage of this relationship. Uganda President Museveni’s name means “Son of a man of the Seventh”, in honour of the Seventh Battalion of the King’s African Rifles, the British colonial army in which many Ugandans served during World War II. 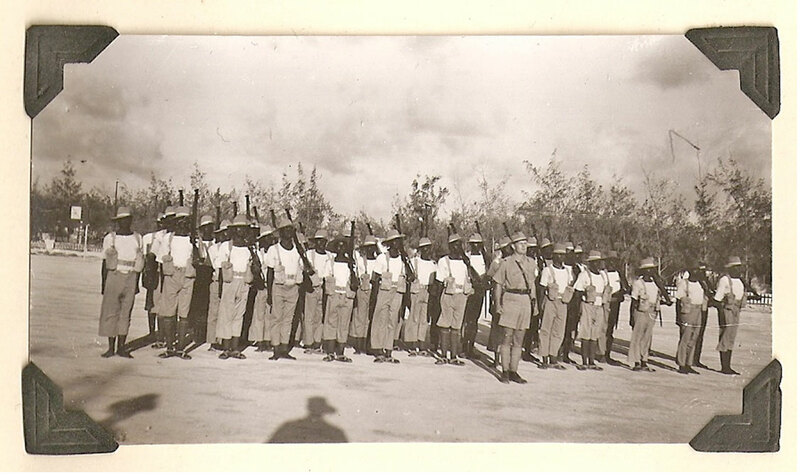 I found one picture of C Company of the 7th Battalion KAR taken in Mogadishu in 1941. 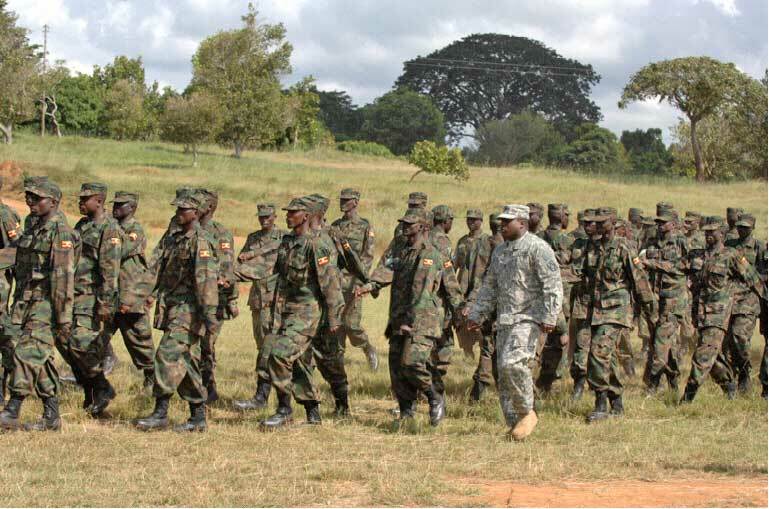 It is interesting to note that Ugandan soldiers are currently embroiled in Mogadishu as partners/surrogates/proxies for the United States. 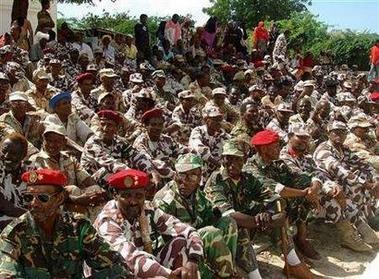 The middle picture above is Ugandan soldiers from the current AMISOM mission in Mogadishu. 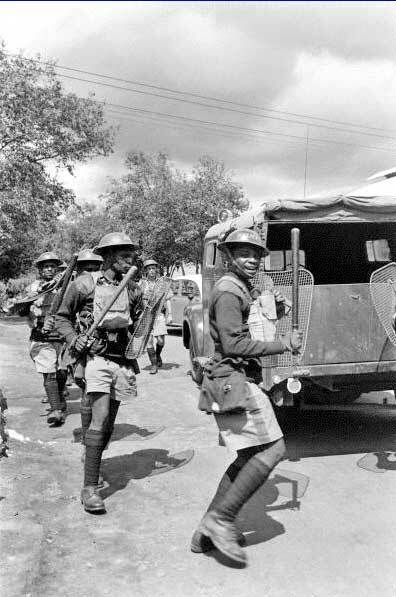 Below are pictures of the Kings African Rifles, KAR, during the riots and disturbances in Nyasaland, which marked the end of colonial rule. The KAR acted as partners/surrogates/proxies for British colonial rule. I also added a few pictures of riot control training from a recent AFRICOM partner/surrogate/proxy training exercise in Benin for visual comparison. 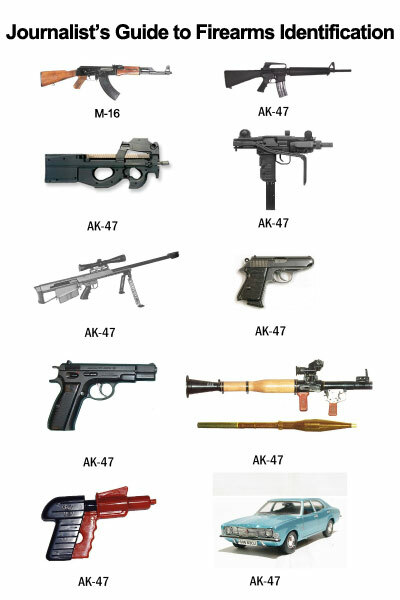 Experience tells us that in many countries these skills are likely to be used for internal counter insurgency operations and to quell legitimate political dissent, not unlike some domestic assignments given the former Kings African Rifles, who also served heroically in World War II. King's African rifles advance on African rioters at time of emergency. Photos: James Burke/Time & Life Pictures/Getty Images, Mar 01, 1959. 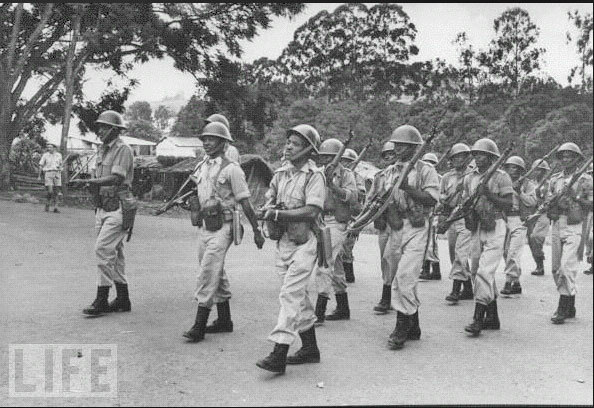 By 1959 (in Nyasaland) major disturbances were taking place whereby natives stoned police stations and attacked policemen. A state of emergency was declared, and military forces were brought in to handle the situation. 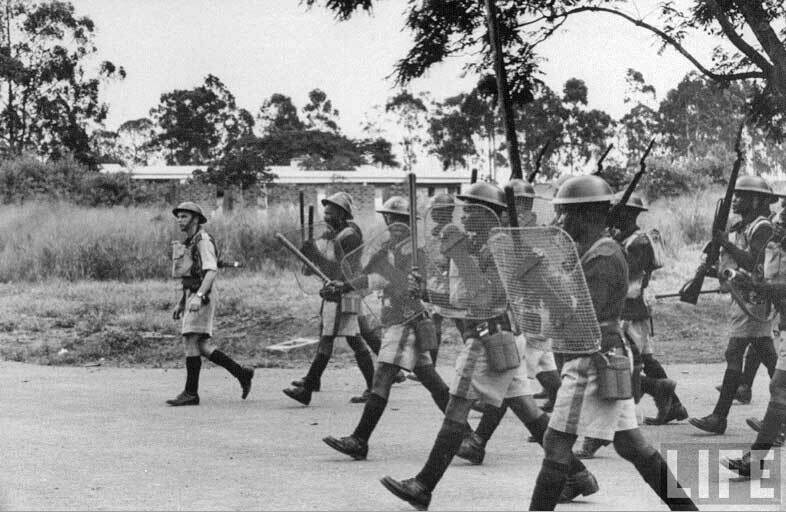 Regiments of the Royal Rhodesian Army and platoons from Tanganyika and Northern Rhodesia imported some 2,500 soldiers. The manpower of the police force was expanded to a total of about 3,000, including 200 extra policemen from Britain. Nevertheless, all these efforts were of no avail. The political opposition to British rule, organized in the Nyasaland African Congress, grew stronger and stronger, and the British colonial administration could not but prepare the way for African self-government. After the transition of power in 1962, the new African state of Malawi inherited from its colonial past a police force of some 3,000 agents, consisting of British, Asian and African recruits." Kariba Dam February 1959. Kariba dam workers went on strike protesting low pay and terrible working conditions. 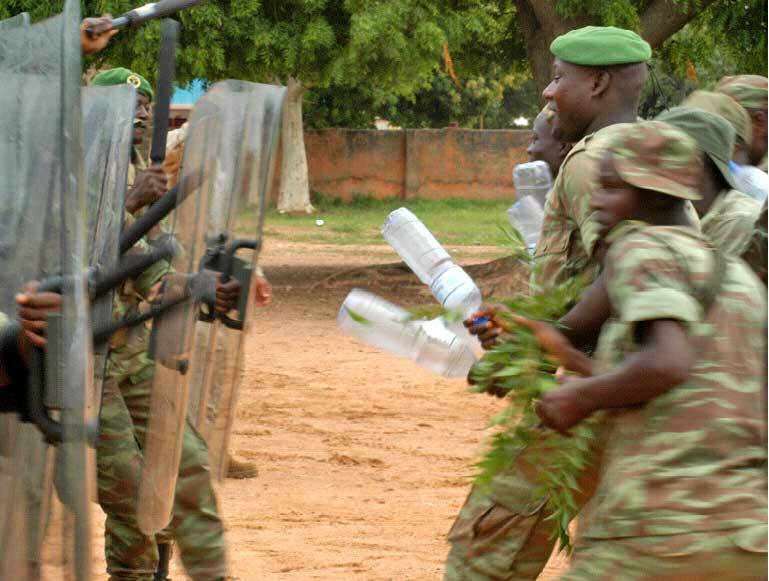 Army riot squads flew to the dam to reinforce security troops after the striking workers stoned buildings and cars. Two special squads of European and African police were put on alert to move at a moments notice to any trouble spot in the British ruled federation of the Rhodesias and Nyasaland. Nevertheless, all these efforts were of no avail. The political opposition to British rule, organized in the Nyasaland African Congress, grew stronger and stronger, and the British colonial administration could not but prepare the way for African self-government. Maj Shawn T. Cochran wrote Security Assistance, Surrogate Armies, and the Pursuit of US Interests in Sub-Saharan Africa published in the U.S. Air University’s Strategic Studies Quarterly Spring 2010 v.4 #1 (PDF). He is quite interesting on the subject of US surrogates and partners in Africa, and on historic and current US efforts to create and use African partners/surrogates/proxies. I am one of those who uses the label proxy war not just for dramatic effect but to keep in mind an accurate historic context for viewing current US military adventurism in Africa. 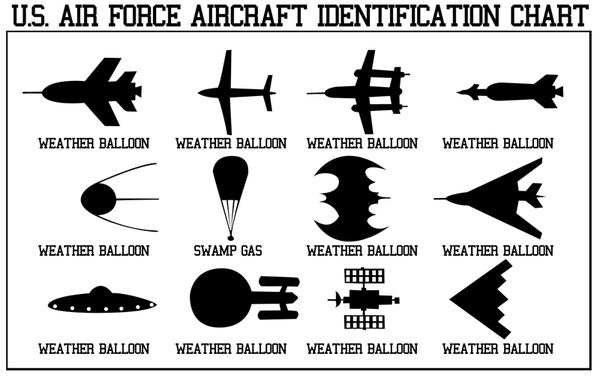 … a surrogate force is defined as an organization that serves the needs or interests of a secondary actor—the sponsor—by employing military power in place of the sponsor’s own forces. Implicit within this definition is the requirement for the sponsor to fund, equip, train, or otherwise support the surrogate. The sponsor also must exercise at least some form of control or influence over the surrogate. Of the three, power, or influence, exerted by the sponsor is most critical. … By analyzing, strategizing, and implementing security assistance in terms of a partnership instead of a sponsor-surrogate relationship, one is perhaps more likely to marginalize the critical, albeit controversial, factor of donor influence and control. 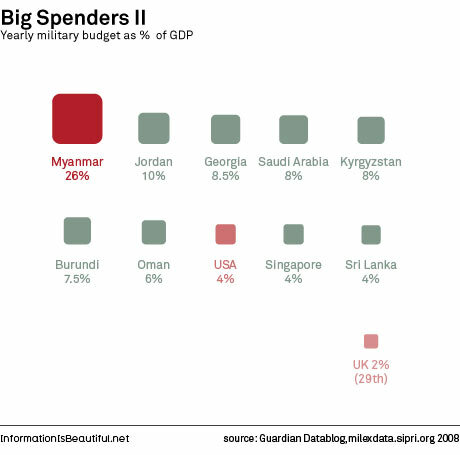 Such marginalization may affect adversely the degree to which security assistance programs achieve US objectives. Cochran uses two case studies to explore US surrogacy in Africa, the Nigerian intervention in Liberia in 2003, and the Ethiopian invasion of Somalia in 2006 and its aftermath. The surge in US security assistance to Nigeria from 2000 to 2003 was closely tied to the US government’s expectation of Nigeria as a lead contributor to subregional and regional peace support operations. From the US point of view, Nigeria’s hesitancy to respond to the Liberian crisis and attempt to pressure the United States into committing its own forces represented a degree of “shirking,” defined within agency theory as not doing all that was contracted or not doing the task in a desirable way. Beyond the factor of conflicting goals, shirking is also more likely in situations where there is significant outcome uncertainty and thus significant risk. Nigerian lack of enthusiasm for the mission stemmed in part from the inculcation of democratic practices. 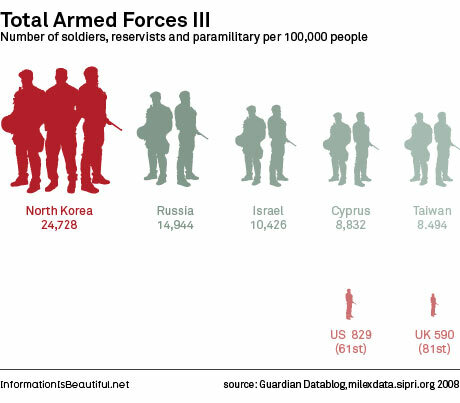 In a democracy, the state military ultimately serves as an agent of the people. Where Nigerian dictators had been able to employ the military whenever and however they saw fit, the democratically elected leadership, accountable to Nigerian public opinion, found it increasingly difficult to justify and garner public support for the expenditure of troops and national treasure in external conflicts. Democracy is likely to discourage military surrogacy. When the people in a country have a say, they must see a good reason and a potentially positive outcome to be willing to spend national blood and treasure. 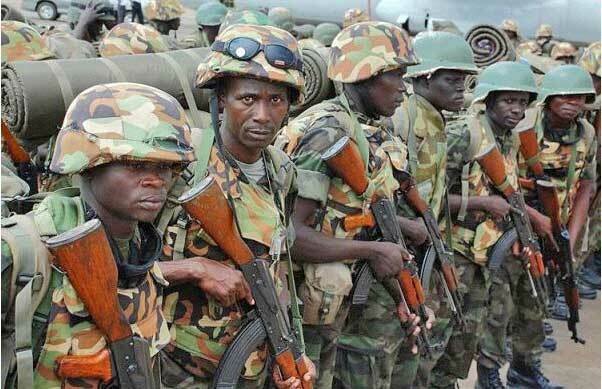 Democracy was at work preventing Nigeria and Ghana from participating in the disastrous US exercise in Somalia. Uganda and Rwanda, being only nominally democracies, and actually run as military governments, make much better surogates and are favorites of the US Africa Command and significant recipients of US military funding. Uganda has contributed a great many soldiers to the Somali exercise. The development of military partners/surrogates/proxies is an enemy of democratic governance. Cochran also includes the following quote, which has continent wide implications. In the Cold War you called your enemy a communist in order to get military assistance, only the word has changed. The US put considerable pressure on Ghana and Nigeria to contribute to the Somali disaster. And that is the key question. There is no reason on earth that benefits Ghana why Ghana should become involved in Somalia. I think Ghana has shown great wisdom. Ghana should be wary, it has received quite a bit of “assistance” through the ACOTA program. Why invest long term without any guarantee of return? Why not just wait until the need arises and then tailor security assistance to provide only the willing actors with what is necessary for a specific intervention? This would ostensibly eliminate some of the uncertainty inherent in screening and mitigate agency loss from shirking behavior. 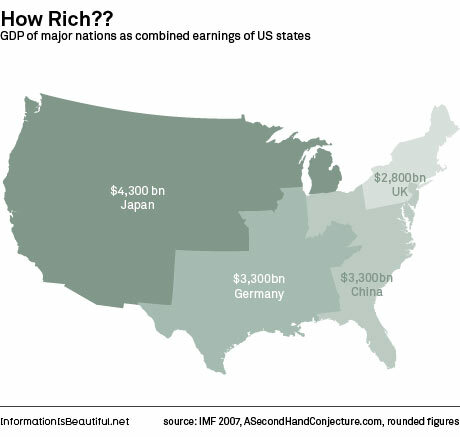 The United States, in fact, has moved in this direction over the past few years. ACOTA, in particular, has been utilized repeatedly for such “just in time” security assistance. The second can be characterized as a “fire brigade” approach. This is more ad hoc and involves a short-term use of security assistance to generate support for a specific intervention and preparing willing participants just prior to deployment. One should not take from this discussion that Africa’s problems or threats to US strategic interests in Africa are best dealt with through military means. 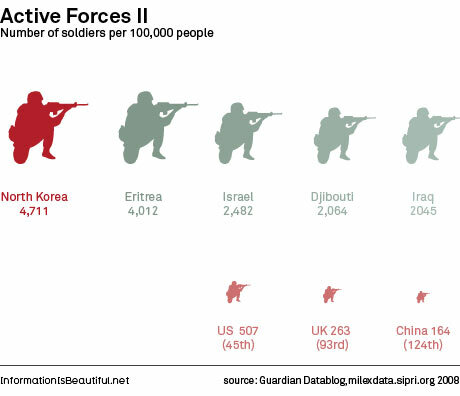 In most cases, military force, even if employed by a surrogate, is not the answer but sometimes it is. 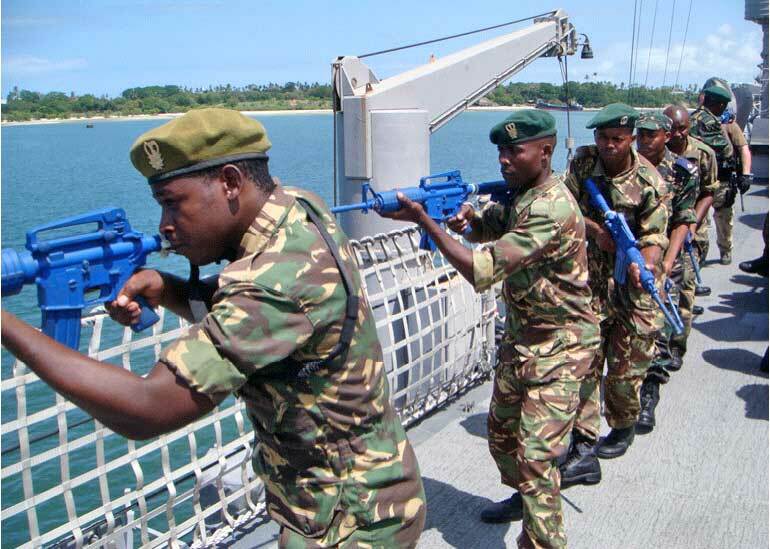 Given the nature of the African security environment, it is sometimes impossible to pursue broader economic, political, and humanitarian aims without a concomitant threat or application of arms. 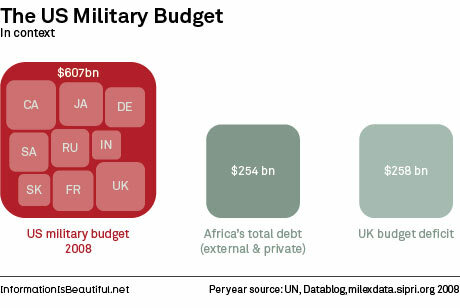 With the gigantic imbalance between military and civilian spending, and the huge presence and activity of the Africa Command around the continent, and the US not doing much else, all African problems as viewed by the US are likely to be treated like nails requiring a military hammer. 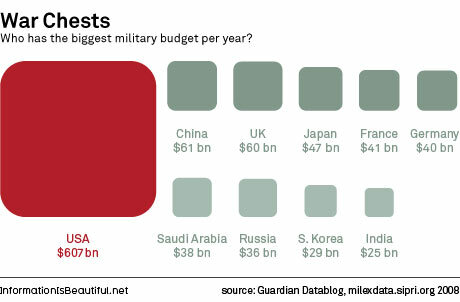 With the present imbalance in military to civilian spending, a military hammer is about the only tool on offer from the US. 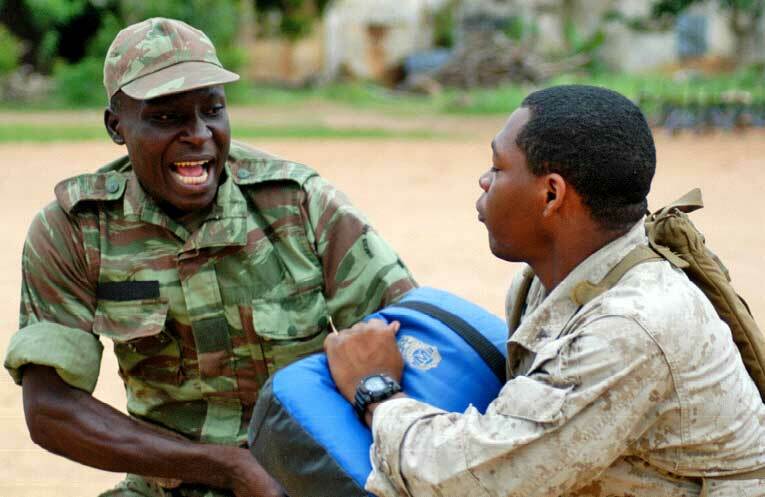 Through its various security assistance programs, the United States now seeks to build both the capability and willingness of African states to employ military force throughout the region in a manner that supports US strategic interests and precludes the requirement for direct US military intervention. The United States, in effect, is seeking to develop surrogates. I have many memories of the two coups I lived through in Ghana …The safe detail that lingers, however, is of the martial music that consumed the radio, and then the TV, airwaves in the ensuing days. … Suffice to say that I have a visceral reaction to military strongmen and their rhetoric – I am blinded by the accompanying blood. The martial music of our coups all had this alien, otherworldly aura – as if to remind the listener that the military in Africa were one of the most ruinous of our colonial inheritances. 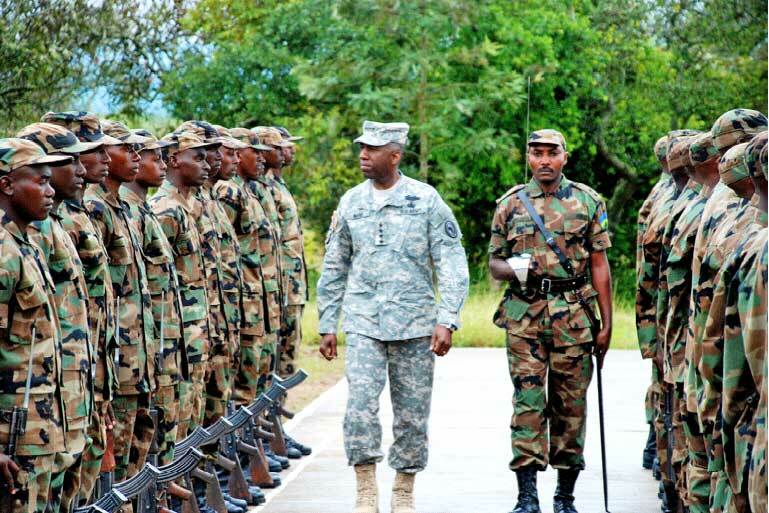 The US Africa Command and the military contractors continue that ruinous colonial tradition, the latest manifestation of that ruinous colonial inheritance.